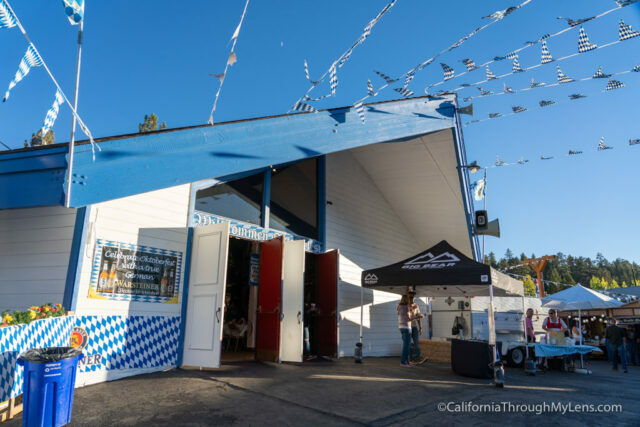 Big Bear Lake celebrates Oktoberfest by going all out on a two-month festival that happens every weekend during September and October. 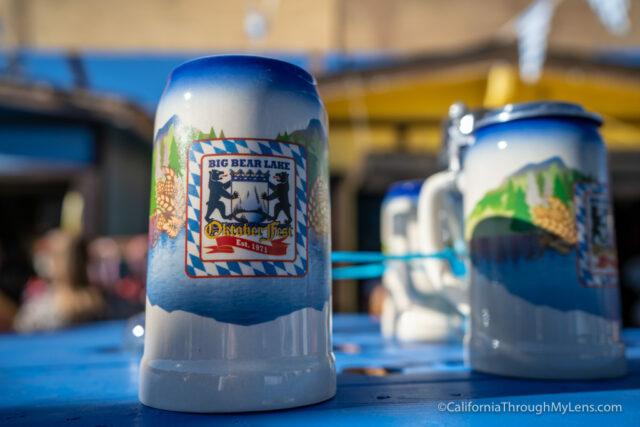 Their Oktoberfest is one of the largest in Southern California, and it is a great excuse to get out of Los Angeles and come up into the mountains for a few days. 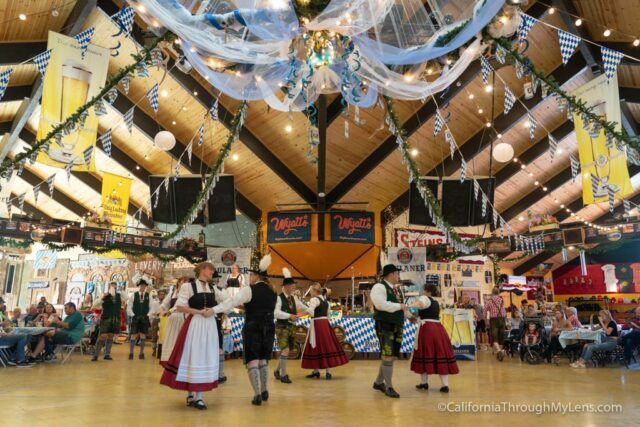 I finally got a chance to visit in 2018, and I had fun trying German food, watching the performances and drinking German beer. 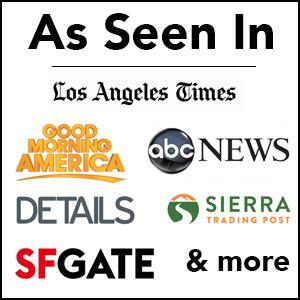 If this sounds like something you would be interested in, then here is all the information. 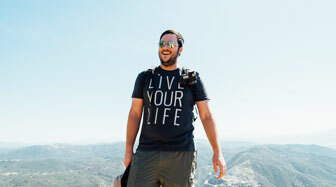 Cost: $23 for a one day ticket, more options, and prices available on their site. You can drive to the festival and get parking in the lot next to the convention center, but this parking is only available if you come early, so it is not always a great option. 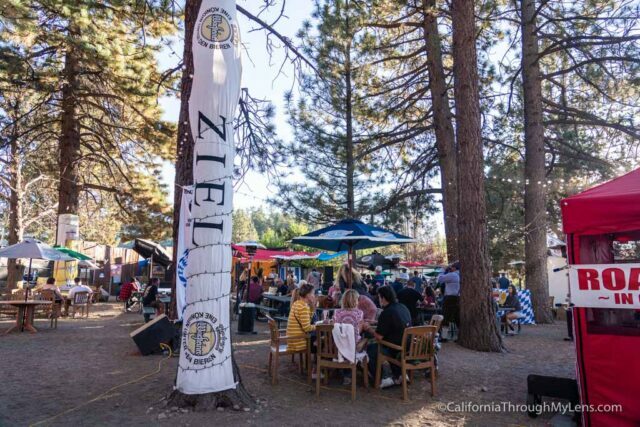 The best option is probably to take the shuttle that runs from downtown Big Bear Lake. 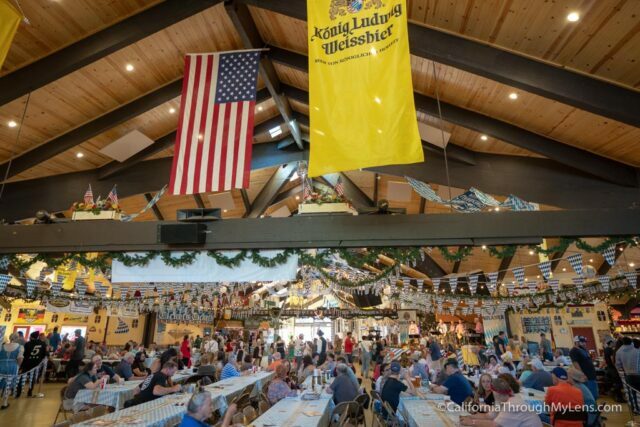 This shuttle takes you right to Oktoberfest and makes it so you do not have to drive. 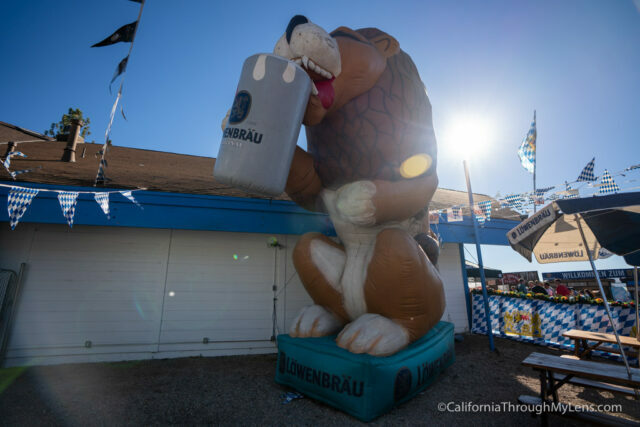 2018 was the 48th year that Oktoberfest was being celebrated in Big Bear Lake. Amie and I went on the second weekend, and it was not too busy, which made it an excellent time to experience the festivities without the crowds. We got the Burgermeister Party Pack which came with a commemorative stein, entrance to the festival, beads, dinner and one beer. 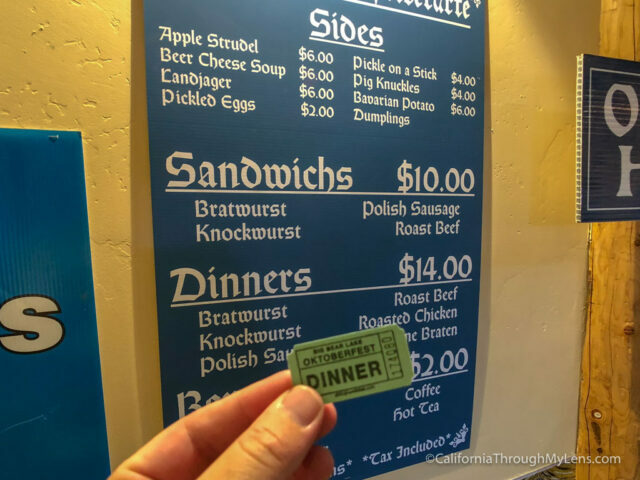 If you are planning on eating dinner here and having a beer, then this is probably the best option as the price is reasonable over doing all of those things separately. The event revolves around the main convention hall, with lots of vendors along the outside, a second musical stage, and a children’s play area. 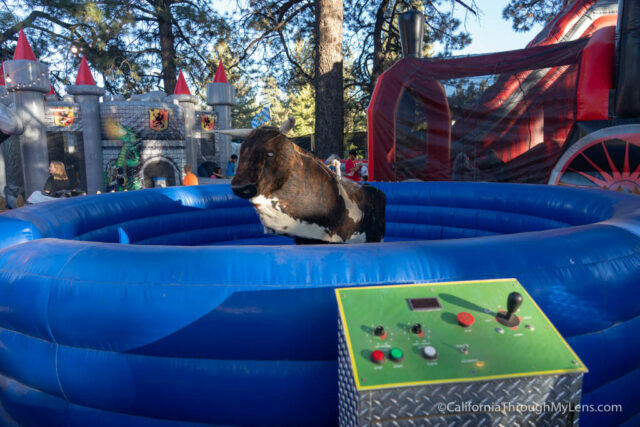 There is even a mechanical bull, and supposedly there is a dog that rides the bull, but we didn’t see it when we were there. Inside of the convention hall is where everything takes place though. I was impressed that they pretty much always have something going on, from music and dancing to shows and contests. We spent the better part of three hours here, and this is what we saw. They did four different dances, and it was fun to see the unique dancing style. This guy had an epic horn! I am not sure what it is called, but he played a few songs on it. 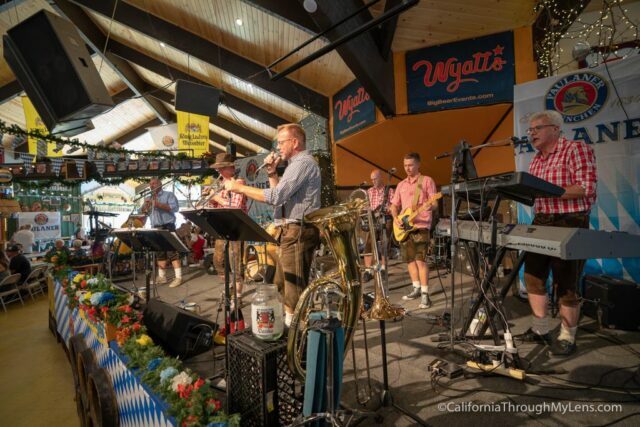 There was a band directly from Germany that played everything from traditional songs and covers to the chicken dance to get people moving. It was silly and fun. This is something they do every year, and we were there for the preliminary round. 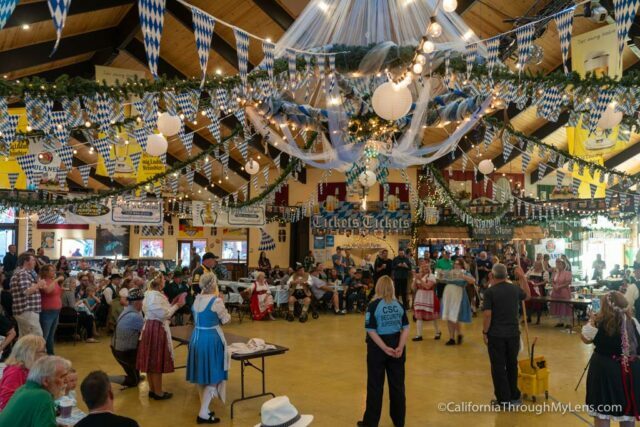 The women attempt to carry as many steins as they can from one table to the next, upwards of 60 pounds worth of steins. It is pretty crazy and fun to watch. 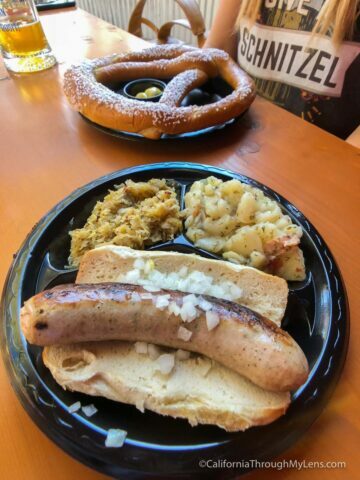 The food is traditional German dishes like bratwurst, knockwurst, sauerkraut, and potatoes. I found it to be good as I like that type of food already. 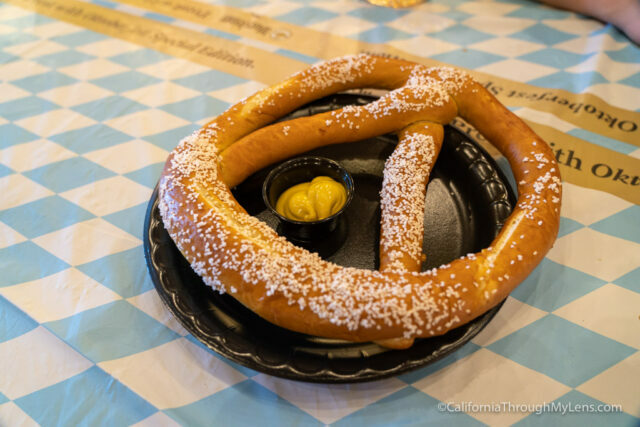 There wasn’t much for Amie since she is a vegetarian, so she just got a giant soft pretzel. 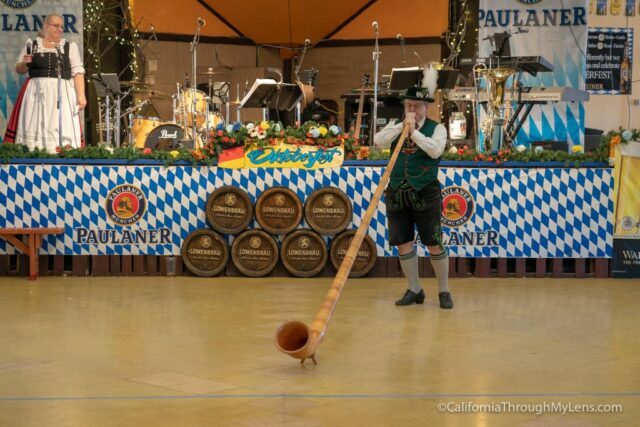 For beer, there were a dozen or so types with 4-6 traditional German beers. 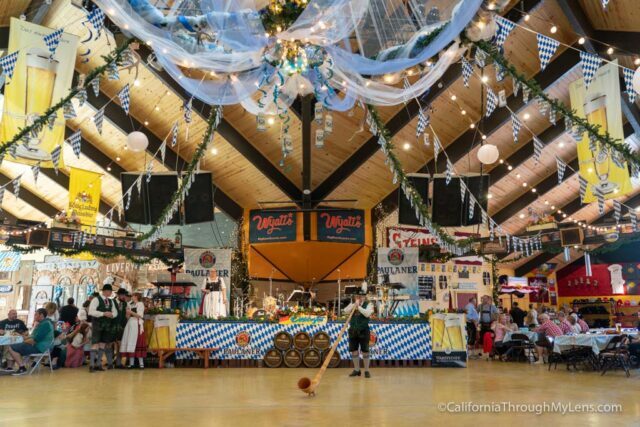 You could grab samples then have your stein filled up with your choice. The later the event got the more people were up dancing and having fun. Amie and I only stayed till around 7 PM, so it wasn’t too crazy yet, and it was just the second weekend, with the weekends in October being a lot busier. 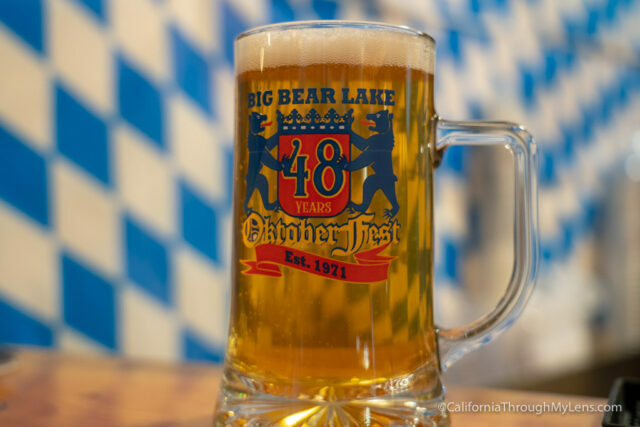 If you are looking for a fun event in Southern California in the fall, then check out Big Bear’s Oktoberfest. I probably won’t make it a yearly event, but Amie and I had a good time, and I am sure I will be back. Let me know what you think in the comments.